Image Size: 33 X 27.5 in. After millions of years the king of beasts exists, but only just. It is said that each animal species has a protective guardian. 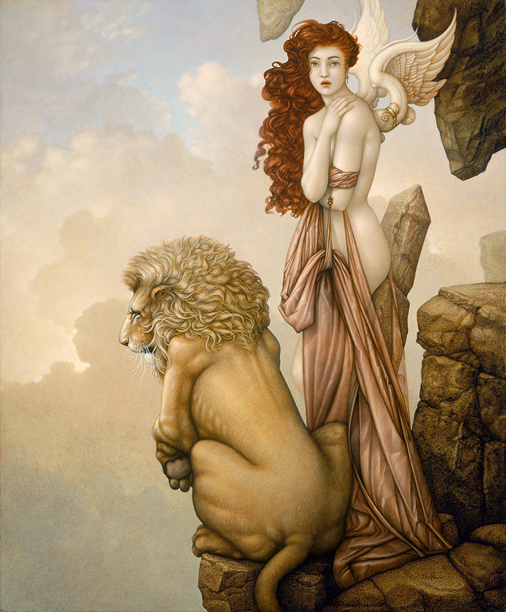 Here she is the deva of lions, the one who has for so long nurtured them as they grew into their stature of grandeur. He is dying, the last lion. What do those angel-protectors do when the last of their species is gone? What must she feel, waiting for her last son's breath?